Church choir etiquette is a wonderful guide to help you as you join your voice with others in your congregation. They are simple pieces of advice to help you put your best voice forward. At the core of a church choir is a team of wonderful people who have decided to share their vocal gifts with the members of their congregations. Bringing unity to a group such as this will allow your voices to blend in a way that is truly special. It is important to remember that being a member of a church choir involves a certain amount of dedication. It is vital to use your best church choir etiquette to show your level of commitment to your director and other members of the choir. Whether you are the director or a singer in a church choir, communication is key to successful practices and performances. 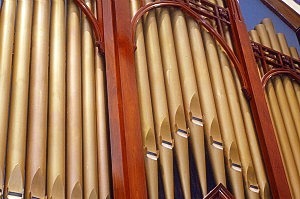 It is vital that each member of the choir knows the time and location of the practices. It is a good practice to have a schedule of practices and performances for at least a month ahead of time. This allows all members to arrange their lives accordingly. If by chance a change needs to be made, make sure that all members are notified quickly. Sometimes things come up and members are not able to make it to a practice. It is good church choir etiquette to call the director. This allows them to make the necessary adjustments. The same courtesy applies if you are going to be late. Church choir practices are vital to the success of the choir. It is imperative that you practice together to learn the songs, listen to each other and follow the director. The practices are when the director will change the arrangement of the song or placement of the members. This fine-tuning gives the choir its voice. Punctuality is a wonderful display of good manners. Be on time, if not early to your practices. This will give you the chance to help with chairs, warm-up your voice and get situated. Attendance is so important. You need to be to the practices to know what is going on. This shows your level of dedication to the choir. Be prepared. There are times when changes will be made to the songs. It is a good idea to have a pencil to make the necessary notes on your music. Voice Preparation. Take care of your voice. It is work to sing and like all muscles your voice needs to be properly warmed up and cared for. If your choir does not do warm-up exercises together, take the time to do so on your own. Avoid the foods and drinks that cause problems for your voice. Make sure you have water nearby incase you need it. Cell Phones. Turn them off or silence them. It is good church etiquette any time you are in church, whether it be for services, choir practice or taking a silent moment. It is appropriate to check your phone during breaks, however during practice leave them alone. Talking. Leave the chatting for before, breaks and after practice. It shows respect when you give your director your full attention. Ask questions if you have them. Many choirs have robes that they wear during their performances. This creates unity and a visual beauty in the choir. It is a magnificent sight when a choir is dressed appropriately and similarly as they share their voices. As a member of a choir, maintain good grooming. This means that when you are practicing and performing, look your best. Wear clothes that are appropriate in church, simple and modest. Avoid wearing strong perfumes, colognes and lotions. Sometimes certain scents can trigger reactions in the voices and throats of those around you, making it difficult to sing. When your choir has a performance, whether it be a Sunday service or a concert, use good church choir etiquette. Arrive early, with your music and voice ready. Be sure that your robes or choir outfit is pressed and looks nice. Stand with good posture and smile. Show your respect to those around you by maintaing an air of reverence and dignity. Most important....sing with your heart. 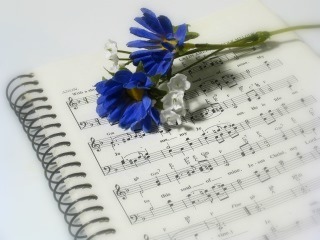 Music has a beautiful power to touch the hearts of many. It is a wonderful honor to be a part of a church choir and share this power through your voice.